Have you ever been in a place where you felt stuck in your business? Are you tired of struggling through each level of growth? Is there a better way to build your business that doesn’t lead to frustration? Guess what? There is! 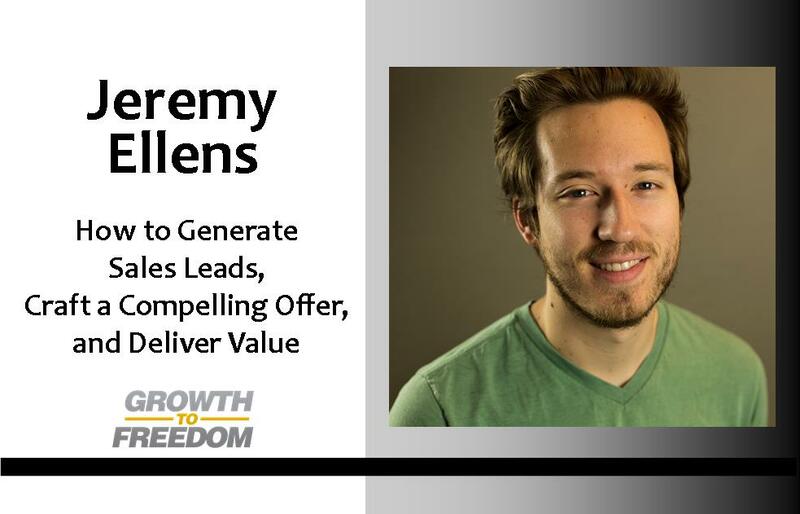 In today’s segment, you’ll hear from guest expert, Jeremy Ellens as he opens up about how business leaders like you can generate sales leads, craft a compelling offer, and deliver value to your clients. Jeremy is the co-founder of a lead generation, quiz software called LeadQuizzes, which has managed over 300 quiz campaigns, millions of dollars in Facebook advertisement, resulting in millions in revenue for those clients. Jeremy’s years of experience in helping businesses expand their influence and connect with clients could be just what your company needs to experience next level growth! You’ll walk away from this episode with practical tools and information you can implement today to set up your own successful lead model. Make sure to have pen and paper close by as you learn these helpful tools and tips from Jeremy!